The brother known as Hound has a reputation. He's all about cracking heads, having a good time, and when the Chaos Motorcycle Club needs someone to do the tough job, they call on him. But Hound has a secret. He fell in love with a woman years ago. She's untouchable. Unattainable. And even when her status changes, for Hound, it remains the same. Keely Black had it all early and lost it all not long after. Thrown into an abyss of loss and grief, she's faced a life of raising two sons alone and battling the rage at all that had been ripped from them. Words spoken in anger open Hound's and Keely's eyes. For Hound, he sees he's wasted his life loving the wrong woman. Keely sees she's wasting her life not opening herself to the love of a good man. From the beginning, I can't say that Hound was a favorite, but after reading his story... he is definitely at the top of the list! There is so much to love about this rough, seemingly hard-hearted man, but I don't want to spoil the experience. 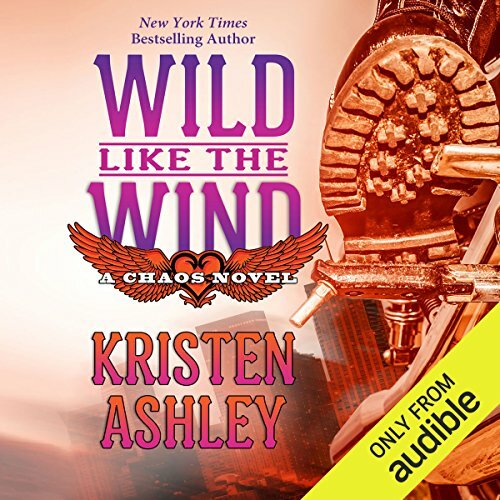 So, if you're a Kristen Ashley/ Chaos fan, this is a MUST read! If you're new to KA/Chaos, this is a MUST read! Kristen Ashley is a bada$$. Can’t wait for the final showdown! I’ve got to say that the politics that now include Chew, a former brother of Chaos, are almost getting confusing. I’m anxious to see the resolution of that issue. I’m also curious to see what ends up happening with Boz and his love life. I really enjoyed, overall, listening to Hounds story. The only thing I didn’t enjoy was the prolonged feelings of Angst, associated with his story. It provoked such a long uncomfortable feeling that, for the first time ever, I had to set this book aside, for a day, and listen to something more upbeat. When I’m listening to a book, I do so for an escape. Prolonged angst, in a book, tends to ruin my mood. I’m a little disappointed that KA used the same, “ we are going to keep our relationship a secret”, theme ,again. The same basic premise was used in Shy’s book and Hop’s book; time from something new and interesting. This is why I did not give this book a solid 5 star ⭐️ rating. Be that as it may, I still believe that this book is definitely worth a credit. What a Fabulous book, yes some tears , happy & sad ones but that's a sign of great writing of the Author can make all your emotions fire . I too didn't like Keely in the beginning she was a right b!tch ... Yes she had a right to be , but Hound was just so very lovely , but she sure did pull her head in once she realized he had had enough of her crap .. The old Jewish women What a doll . As always we hear from other characters which I love , Beverly & Tad that was a whole lot of fun .... An excellent listen that I thoroughly enjoyed. I can’t say this is a favorite book of mine in the series but I will say it was a perfect fit for it. I am glad Hound got a book I was worried he wouldn’t and I think it needed to be written. Keely we know was Black’s wife and she really took his death hard. And the fact that he died because of Chaos. She had to come to terms with it all. I think the only reason this story really worked was that we saw the devotion Hound had for his brothers family and though he does have feelings he would NEVER act on them and he didn’t. Keely did… for that and that alone is why I believe this story really worked. I really enjoyed getting the full story from when her boys were younger and how Hound stepped up to the present and how the story got laid out. Again not my favorite of the series but one I am glad I got to read because it really sets up for the next book to follow. I hope it comes soonish because I neeeeeed more CHAOS! LOVED the narration Kate Russell does a fantastic job with her tone and the emotion she puts into this performance. Heartbreaking and beautiful beyond words! 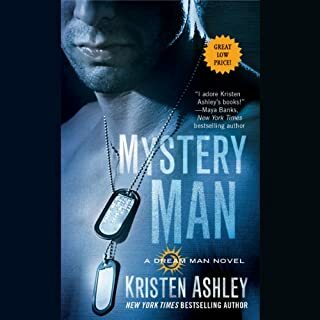 Kristen Ashley has done it again! I laughed till I cried and cried so hard I couldn’t see! Then was laughing a minute later! Hound and Keely’s story is so beautiful and heart breaking! It has a wonderful HEA! I’m thrilled beyond words to have this amazing Chaos story added to my list of all time favorites!!! An absolute must read if you believe in true, bone deep love!!! 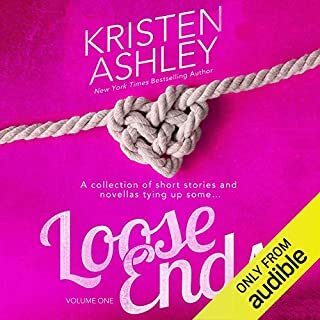 Wow Kristen Ashley has written a beautiful and emotional book with so many feels.. and the hours just flew by because I was lost in Keely and Hound’s intense love story.. in their world of loving each other despite the shadows surrounding it. Shadows of a past love so deep, true and tragic. Shadows of a brotherhood backlash and biker consequences. Shadows caused by fragilities and insecurities which shake their relationship for a while. And shadows caused by their unerring love and devotion to the boys and not wanting to hurt them.. the boys who grew up, grew wise and grew into cheeky Chaos Prospects. KA also seamlessly weaves into the framework of this story well-loved brothers, their feisty old ladies and the continuation of the Chaos story.. the good, the bad and the wolves at their door. The first 35% was told in Hound’s POV - and it was heavy on the heat .. then in Keely’s POV as this strong heroine tells her possessive alpha biker a few home truths and just how badly he blew it. There were so many emotional tugs and heartachingly beautiful feels as Keely and Hound forged their future together, I loved the close relationship they both have with the boys and I was in awe of the clipped style of verbal sparring that KA does so well with this bossy yet loveable biker culture. And, wow, Kate Russell’s flawless narration deserves the highest of praises because young or old, man or woman, happy or sad and calm or crazy.. she delivered a solid gold performance. Worth a credit? Erm.. well?.. let me think for a while.. Hell YES YES YES it’s worth a credit. 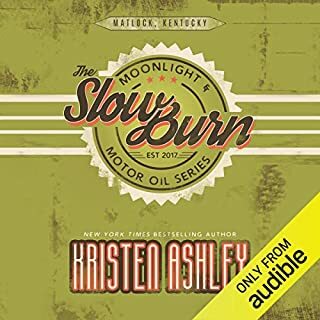 Kristen Ashley did it again! What a great book! Totally worth the credit could not stop listening! Queen KA does again!! This book was one I could not walk away from. I cried, laughed, and held my breath more than once throughout this book. 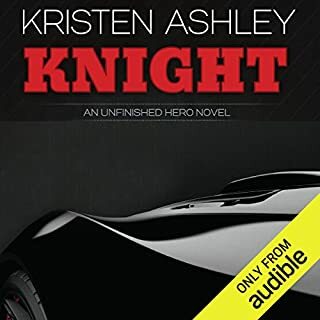 Kate Russell has become the voice of Chaos to me so I enjoyed her narration. Leading into this book I was not sure how I felt about the h but it did not take long for me to love her. Their love story is so heartfelt and real that you feel it down to your bones!! If you love KA you will not be disappointed!!! 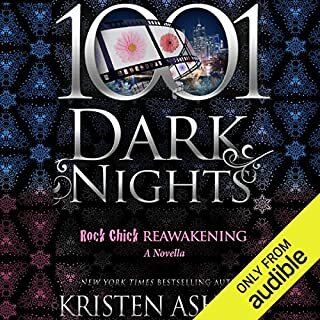 I struggled with the beginning of this book which surprised me because I love Kristen Ashley's books. I even considered returning it but I'm glad I stuck with it as it got much better once it switched to Keeley's POV. Still, not one of my favourites. This was an ok listen but there wasn’t much plot development for the overall series, so I was a bit bored at times. Felt more like a filler book to hit the book quota demanded by the publisher. Worth a listen, but not very memorable. wow this story was beautiful, from the start to the finish.